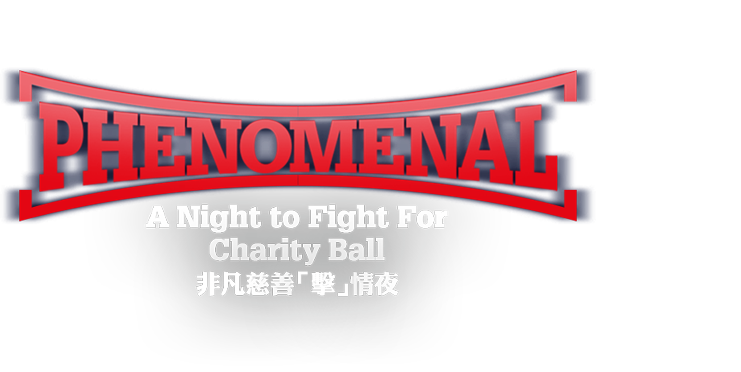 The Sports For Hope Foundation is pleased to present “Phenomenal – A Night to Fight For” charity gala which will be held on Saturday, 20 February 2016 from 6:30 pm, at the Hong Kong Football Club. During this glamourous fundraising gala, 12 local and international professional and amateur boxers will face each other in the boxing ring to demonstrate the commitment, resistance, bravery, fighting spirit, mental and physical pain adaptation and many more skills and values that youngsters should develop in their growing paths. Organized in 6 bouts, both men and women boxers will meet to fight in exhibition rounds for a night of sports and entertainment in the presence of 400 distinguished guests. Net proceeds of the fundraising gala will benefit the Sports For Hope Foundation. Established in 2011, the Sports For Hope Foundation is a non-profit organization in promoting sports to benefit young and underprivileged students and athletes in Hong Kong and Greater China. The Foundation advocates all-rounded sportsmanship by providing extensive support in sports training via sports award incentive programs, sports psychology, sports nutrition, sports physiotherapy and sports-related education overseas in a multi- cultural environment. Through 4 major ongoing projects namely the Sports Legacy Scheme by the Olympics Federation of Hong Kong, Chinese University Elite Athletes Scheme the Chinese University of Hong Kong, Outstanding Junior Athletes Scheme by the Hong Kong Sports Institute, and Tennis Rocks programs by the Hong Kong Tennis Association, the Foundation has been supporting over 4,000 children and constantly receiving encouraging response from the schools, the students, the parents and the athlete coaches. The Sports For Hope Foundation is committed to raise vital awareness about the value of sports and even more vital, funds to sustain and expand existing programs and hope to reach out to more meaningful projects in Hong Kong and Greater China. Your support in this boxing fundraising gala will help us grow and support future generations through sports’ values, guide those youngsters financially in need, pass on positive energy with hope, dream, lead them to their goals and bring them to a brighter future. Enclosed the contribution form detailing how you can support us. We would be grateful if you could confirm your sponsorship at your earliest convenience and join us for a meaningful and fantastic evening! For further information regarding this fundraising gala, please contact our appointed PR agency Mazarine Asia Pacific, Mr. Michael Tong at +852 3678 0122 or michael.tong@mazarineap.com. The Sports For Foundation appreciates all your generous support for such meaningful cause. We look forward to seeing you on 20 February 2016! Table Sponsorship, Advertisement & Donation Form, please click here. “Phenomenal – A Night to Fight For” Charity Gala introduction, please click here.